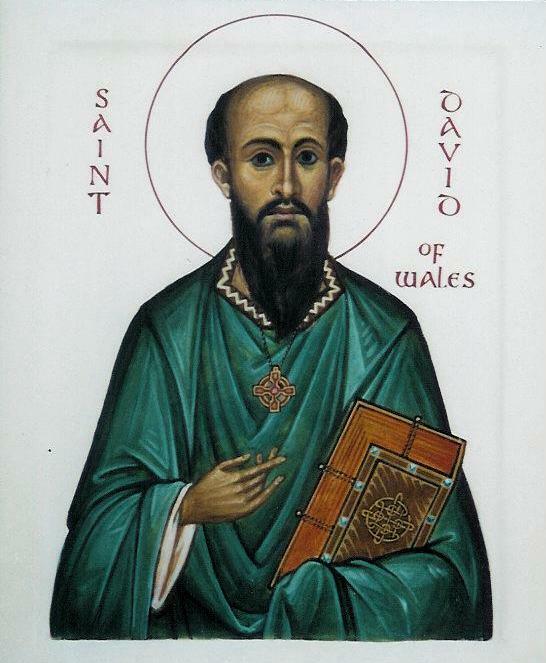 Longbows and Rosary Beads: "Dyth Gwyl Dewi Hapus!" Diolch yn fawr Pearl. This morning we sang, 'Arglwydd, arwain trwy'r anialwch' but in English :-) 'Guide me, O thou great Redeemer' to the wonderful Welsh tune Cwm Rhondda, as our post communion hymn, partly in honour of Dydd Dewi Sant last Friday. I LOVE "Cwm Rhondda"! The first time I heard it was on an album of music from the Welsh Guards, and I was blown away. They started out with snare drums and a choir of male voices, and then into a solo with orchestral accompaniment. It was glorious! Remember the beautiful Welsh voices (and Richard Burton's narration) in ZULU, the film about Roark's Drift? 3 cheers for "MEN OF HARLECH"!!!! Speaking of "Zulu", if you want to see my review on it, go to the second set of film reviews I put up on this blog! That was a great read Pearl, thank you. I didn't know the Welsh were half as interesting haha! Scotland play them at rugby tomorrow (sat) In Edinburgh - keep your fingers crossed for us, it will be a tough game! So.....the Goidelic Celts and Brythonic Celts "hit it off" today? Though I'm rather neutral in all this, I think I can afford to say a little pray for the Scots, just because you asked!